Learn how to play two games from the mind that created them! 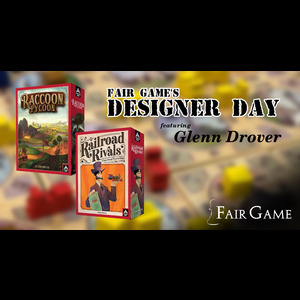 Glenn and his demo team will be at Fair Game teaching Racoon Tycoon and Railroad Rivals! 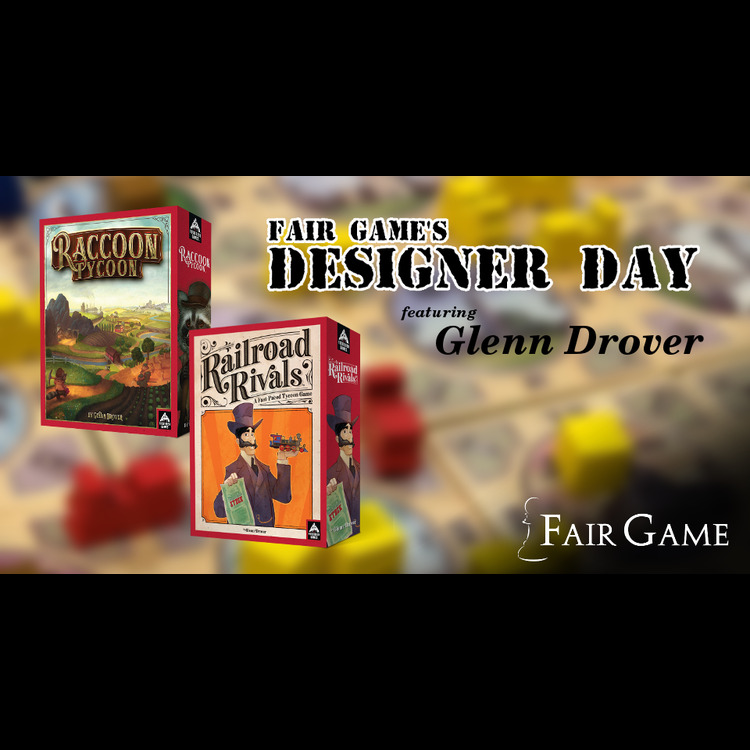 We are very excited to be hosting our first board game Designer Day! 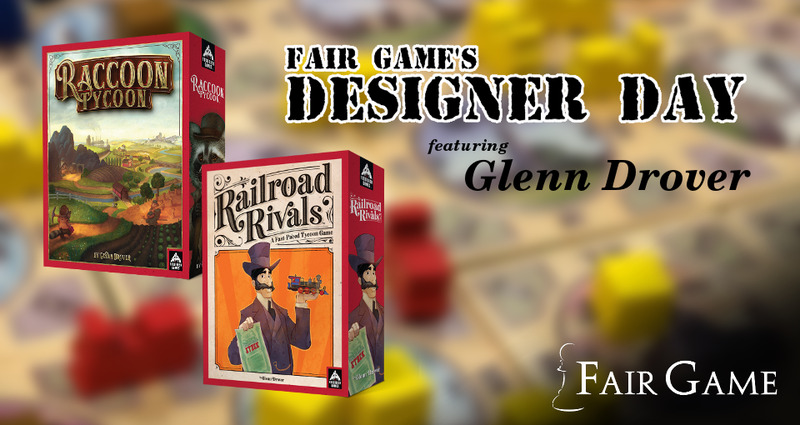 Board Game designer Glenn and his team will be in store demo two of his games: Raccoon Tycoon and Railroad Rivals. During the event you will have a chance to learn and play both titles. Following the demos, we will be raffling off some great prizes – including copies of these two games! Glenn Drover is a board game designer and video game industry executive. He is best known for founding Eagle Games and designing games such as Age of Empires III, Railroad Tycoon, Age of Mythology, and Raccoon Tycoon. Glenn is also a native of Downers Grove, and lived here from 1965 to 1999.